credit repair specialists in the United States. begin reporting on your new entity and business. 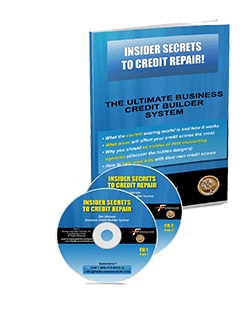 Working with the business credit bureaus is an essential step in build business credit. In order for vendors to report to D&B® you must manually open a file at D&B®. Unlike Corporate Experian® and Corporate Equifax® where you may have vendors that report directly to them.Knowing where you stand with the most important business credit bureaus and how the reporting process impacts your credibility and the amount of funding you can receive. D&B® Set-up. Fee to the D&B® will be separate for the Small Business Starter™ The fee is $229, which will get you a D&B D-U-N-S® Number and open a file for your business for reporting to start. Steps to report to D&B®, Corporate Experian® and Corporate Equifax® Your business will now be in a position to work with vendors that will report to the Big Three. After you go through the compliance steps, and build set up your account with D&B® and work with the starting vendors to report to the business credit bureaus you may be in a position to start looking to secure cash funding for your business. Separately, you will have access to our funding options and a direct contact to our resources that specialize in other type of funding including SBA loans and merchant account cash advance lending. Cash Funding Options and Application Process. The options available to you are based upon the 4 C’s of credit: Credit (personal), Credit (business), Collateral and Cash Flow. The stronger your personal credit score, the stronger the business credit profile, the more collateral the business has and the stronger your cash flow, all equate to more lending options available to your business. Access to our Funding Specialists. Once you submit a request through our online Membership Training Center, you will then speak to one of our Funding Specialists. Their goal is to speak to you and conduct a review of your situation to go into more detail to determine which option is best for you. List of Vendors that Grant Credit and Report to Business Credit Bureaus. Vendor Applications Ready to Submit. All Tier Levels: Vendor applications will be available for you online to save you time. Helps expedite you through the process. You are in a position to utilize the lines of credit, pay the bills, and fast start the reporting process to D&B®. 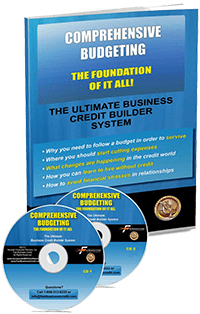 You will have access to a certified business credit coach to help answer your questions about the process and steps in the Gold Membership site. As you go through the steps for compliance, opening a file with D&B®, using the starting vendors who report to the business credit bureaus or contact the funding advisors to help support you with cash funding, you are a phone call or e-mail away from support. Simply call our offices and ask to schedule an appointment with your certified business credit coach to answer your questions. If our certified business credit coaches don’t have the best answer for you, they will find out what you need and get back to you! You will have access through phone AND e-mail to answer ALL your business credit questions for 90 days. 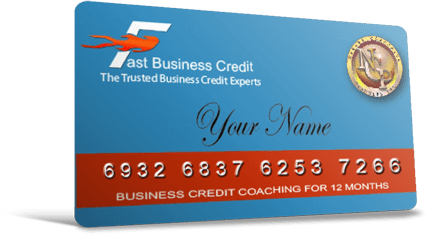 If you have any questions about the online process, you can simply double check with your business credit coach via phone and appointment or e-mail. Our office hours are: Monday-Friday 8:00am to 5:00pm Pacific time. Fast Start to Profits Incorporating & Protecting Your Business Webinar. Which entity may be best for your business? Already incorporated? Did you make these COSTLY mistakes? How to transition from a sole proprietorship to an LLC/Corporation. Tips on how and when to pay yourself. What type of business credit funding will you receive for your business?Cash or vendor lines? How fast will you receive the funding? *The fees to the D&B® will be separate for the Small Business Starter™. It is $229 which will get you a D&B D-U-N-S® Number and open a file for your business for reporting to start. at 1-888-313-6333 1-888-313-6333 and ask to speak with one of our Senior Business Credit Analysts. * The fees to D&B® will be separate for the D&B® Monitoring Program. It is $229 which will generate a full file on your company and obtain a rating for your company. * Prices are subject to change any time. This program includes 90 days of coaching and email coaching.